Around 1609 Henry Hudson sailed along the coast of New Jersey coming to an inlet which he named Barende-gat, a Dutch word meaning an inlet with breakers. This name was replaced by Barndegat by early mapmakers and later evolved into the present day spelling of Barnegat. The earliest settlers in the Barnegat area were the Lenape Indians, who would leave their winter homes inland and venture to the shore where they would spend the summer gathering clams, roasting and drying them for use during the upcoming winter. They would also make wampum (their form of money) from left over shells of clams, mussels and whelks. Once they had gathered a large supply of food they would travel back inland to their winter homes. The first white settlers came into the area around 1720. By 1750 several families had established homes on lands near the creeks and bays. The first house built in Barnegat was at the Collins’ farm. Early settlers were of Dutch, Swedish and English origin. Among the first permanent settlers was William Cranmer from Long Island and later his son, Levi Cranmer, Timothy Ridgway, Stephen and Nathan Birdsall and Ebenezer Collins. Whalers came down from Long Island, Rhode Island, Nantucket and Martha’s Vineyard. Most notable among these was the Inman Family. Later followed the Coxes, Burrs, Pharos, Vaulls, Stokes, Oliphants, Mills and Rulons. It is difficult to say exactly when these early settlers came to Barnegat as they did not always purchase the titles to the their lands until several years after their arrival. A Mr. William Dockwra owned the land on which the village of Barnegat now stands. One of the first recorded land purchases was in 1759 by Levi Cranmer and Timothy Ridgway, who bought 500 acres along what is now East Bay Avenue. From that land, one and a quarter acres was deeded to the Quakers and in 1767 the Quaker Friends Meeting House was built. The Quaker Meeting House is still located at that spot and is most likely the oldest building in Barnegat. It was the first church built in Barnegat and the third church to be built in Ocean County. It should be noted that since most of the families in Barnegat at this time were strict members of the Quaker Society, who have a strong belief against fighting, there was little participation by these Barnegat settlers during the War of Independence. As early as 1745 Episcopalian Minister, Thomas Thompson , held services in Barnegat. The Presbyterian pioneers began holding services in 1760 in the Rulon House located near Cedar Bridge. The Old Free Church of Barnegat (1829-1867) stood in the old graveyard next to Barnegat Primary School which later became Perrine Boat Works. The Methodists go back to the Revolution, with the first Society being formed in 1829 with Job Edwards as their leader. The first Methodist Church was dedicated in 1859, but burned down in 1882. The church was rebuilt and dedicated in 1887 with the Rev. John Wagg as pastor. During Barnegat’s early days most of her men were whalers who built their whaling boats out of the cedars of the Great Swamp. Later, around the time of the Revolutionary War, Barnegat ships carried cargoes of cedar rails and pine wood to New York. With the advent of the steam powered ship in the beginning of the 19th century the demand for pine wood as a fuel kept the Barnegat seamen even busier carrying the wood to Virginia and other points along the east coast. Between 1820-1840 the supply of pine wood diminished and Barnegat’s seamen turned to the charcoal trade, then to transporting freight from New York to parts of New England to Virginia and as far south as Florida. This trade was at its height during and after the Civil War. The majority of Barnegat’s men were either Captains of their own ships or sailors or crewmen aboard these ships. It was not unusual at the time for the captain, mates and crew to all be Barnegatters. Numerous two and three masted schooners, as well as some sloops, were built in Barnegat between 1860-1886. The L.H. Hopkins was recorded as the first schooner to be built and the Loie Robinson was the last to be built in Barnegat. Many artifacts and historical information from Barnegat’s seafaring days, including pictures of Captains and their schooners are housed at the Barnegat Historical Society’s Heritage Village located on East Bay Avenue. The first Inn or “public house” was built in 1829 by David Oliphant about one mile east of the present day intersection of Rt. 9 and Bay Avenue. This Inn was later replaced by one owned by Daniel Cranmer. Another Inn owned by Eli Collins was said to have been patronized by such dignitaries of that era as Joseph Bonaparte, Napoleon’s brother. In the early 1900’s J.H. Perrine purchased the old Barnegat Primary School (erected in 1867) and set up his boat-building business. His specialty was the Barnegat sneak box – a boat designed for hunters, but also sailed in races and for pleasure, not only on our bay but on waters all over the world. Due to the popularity of the sneak box the Village of Barnegat was known round the world. 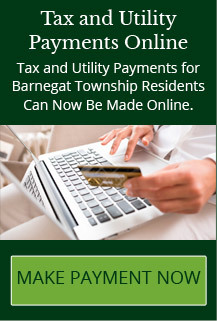 During this era Barnegat was the most popular place for people from surrounding communities to shop. Barnegat bustled with grocery stores, a bank, a dry good’s store, a butcher, a shoemaker, a bakery, blacksmiths, two doctors, a lumberyard and a coal yard. Automobiles were seldom seen in the area and the most common mode of travel was either by horse and buggy or train. Two main railroads had depots in Barnegat; the Tuckerton RR Station (also known as the Pennsylvania RR Depot) located on the east side of Memorial Drive, and the Central RR of New Jersey Depot located on the north side of West Bay Avenue. Barnegat Glass Co. was built around 1896 and closed it’s doors in 1914. Many new families came into Barnegat to work in this factory. Products made in the Glass Works are now considered collectibles. The first Telephone Exchange was brought in by Mr. Byron M. Eno in the early 1900’s. Elizabeth Clayton, who later married Captain Ed Ridgway was one of the earliest operators. In 1908 Barnegat welcomed a central water system, Barnegat Water Co., owned by Luther Cox, who , along with his wife Mary Ann also owned the Times Beacon Newspaper. Luther was the son of Capt. “Billy” and Marietta Cox, who built the Cox House which stands at the corner of Rt.9 North and Bay Avenue. The Cox House was the first house in Barnegat to have electricity and running water. Currently the historic Cox House is the meeting place for community organizations and hosts many special events throughout the year. There was no radio or television in those early days – entertainment was provided by local talent that put on plays, and by traveling vaudeville and minstrel shows which made yearly visits to the Barnegat Opera House. This building was located on Rt. 9 north in the vicinity of the present day liquor store. Movies came to Barnegat somewhere between 1915-1920. They were first shown in the Opera House which was later converted to the Park Theatre.